A plan to construct more than 2,900 homes in Santee’s northern hills is still on the table, and a builder is once again inviting citizens to weigh in. The meetings are scheduled July 24-26, but residents must register to attend at www.fanitaranch.com/rsvp. 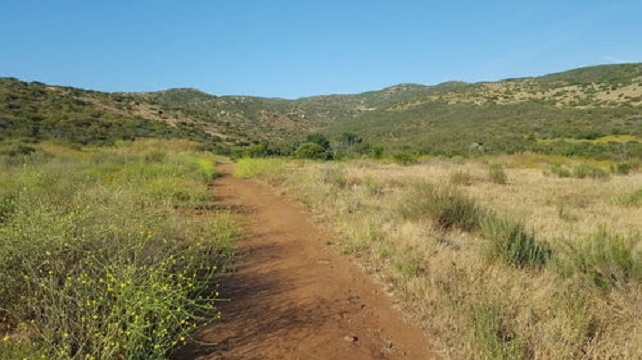 Fanita Ranch encompasses approximately 2,500 acres of open space along the eastern edge of Fanita Parkway, north toward Poway, on Santee’s west side. According to Carlsbad-based HomeFed, its development plan includes widening Fanita Parkway and westbound SR-52, and also extending Cuyamaca Street and Magnolia Avenue northward into the planned developement. HomeFed also promises construction of a new fire station, solar farm, and commits to preserving the majority of Fanita Ranch acreage for open space. HomeFed has yet to publicly reveal how the massive infrastructure improvements would be funded. The Santee City Council approved a Fanita Ranch development in 2007 and HomeFed acquired the site for $11 million in a 2011 foreclosure auction. The city was sued over its 2007 approval, and a San Diego Superior Court judge twice ruled that the city failed to adequately consider the project’s effect on fire safety. A 4th District Court of Appeal supported the ruling and found the city also improperly considered other environmental factors, including the project’s water supply demands. HomeFed states in its recent mailing to residents that its Fanita Ranch plan will undergo a full environmental review and public hearing process with the city.